P5 have been learning all about the parts of the house. 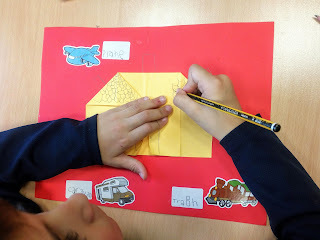 Using origami, we learned to fold houses. In addition, we are talking about all kinds of different vehicles. As a family practice the song below with them .. they have learned it well.